I really like an Old Fashioned and made one in a previous post. 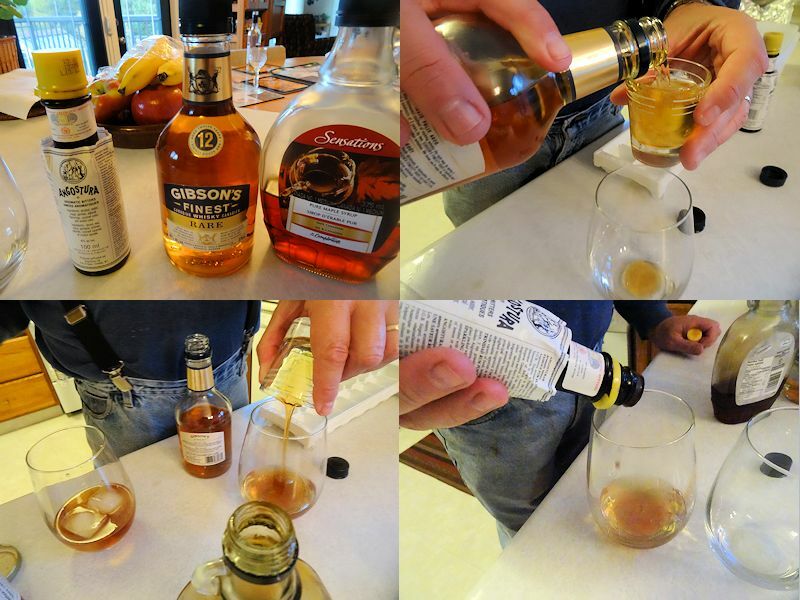 You’ll note in my prior post that I used a good Canadian rye whisky. However, they always seem to use bourbon when I order one in a bar, even here in Canada. Don’t get me wrong, a nice bourbon Old Fashioned is very tasty. I just prefer Canadian rye. I think it has a smoother richer taste. That made me think that maybe what the world needed was an Old Fashioned that was truly all Canadian. Here it is, the Old Fashioned Canadian (just like me). I started by using 2 ounces of Gibsons Finest Very Rare 12 Year Old Whisky. I added 1/4 ounce of maple syrup. The standard Old fashioned uses simple syrup. I added 2 dashes of bitters. I stirred and added rocks and two maraschino cherries. This is a great Old Fashioned drink. It isn’t quite as sweet as a regular Old Fashioned but the good rye and the maple syrup made for a smooth velvety drink. The bitters gave it that familiar Old Fashioned complexity. This is now my home version of an Old Fashioned! 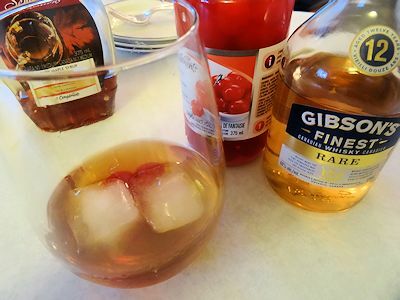 Put the whisky, syrup and bitters in an Old Fashioned glass and stir. Add the ice and cherries. Har! I was raised on rye whisky. Here we don’t say we drink rye we say we are on the rye. Aaand I gotta get me some Canadian Rye now. : ) Looks like a damn good drink! I don’t know. Look what it did to me. My family is from Wisconsin. An Old Fashioned is a very popular drink there. I always order one when visiting because here in the south, no one knows how to make them. Your recipe looks lovely! Thanks, Katie. I know what you mean about having problems ordering a drink in different areas. When I travel, I often order a classic daiquiri. I usually end up with some frozen slurpee like concoction. Sigh. I think a good bartender is a dying breed.